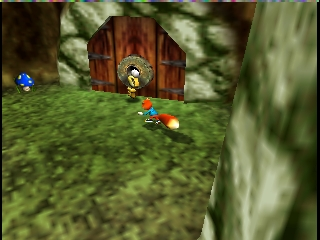 Well, I missed this game when it originally came out, and it saddens me to say that it is indicative of the drop in quality Rare had started to display with Banjo-Tooie. The graphics may be quite pretty, the movie refrences and the voices funny (if you can appreciate the crude immature toilet humour on show. I know I did), but that's not enough to save the game. 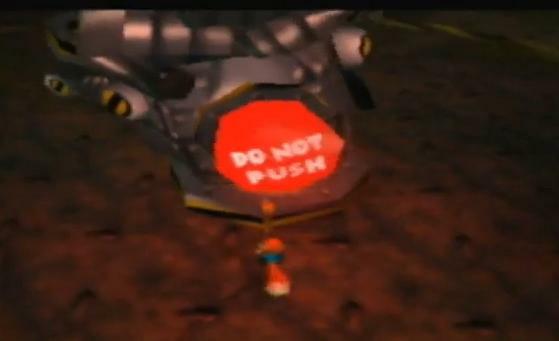 The platforming segment of the game is quite poor by Rare's standards, with numerous instant death traps and other "fun" moments. Still good, so you might want to check it out and see if you're more forgiving than me. 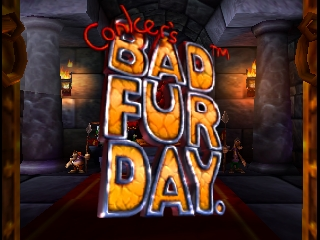 Conker's Bad Fur Day for N64 is arguably the most non-nintendo-like game that could be available on a Nintendo platform. 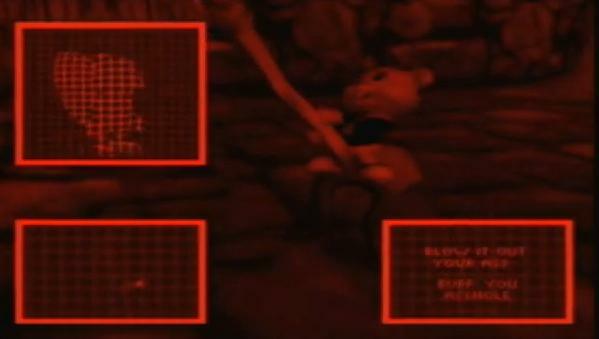 With this title Nintendo really shed it's 'family friendly' image. 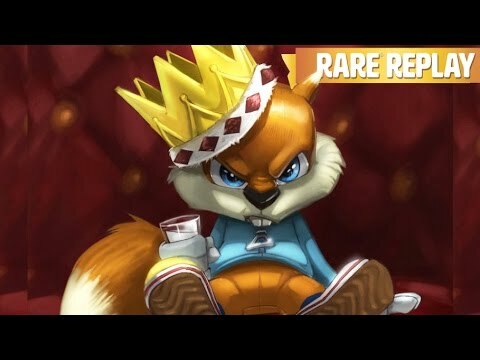 Conker is a pissed off squirrel. Not only that, but he is foul mouthed to boot. The game has amazing visuals and an interesting storyline. 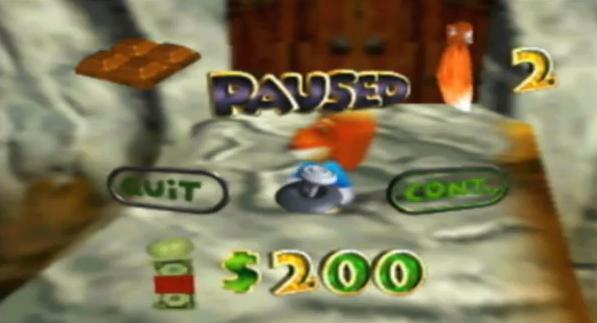 Join Conker in his adventure on the Nintendo 64! 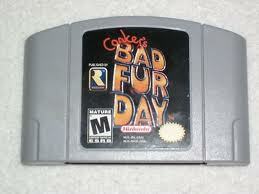 Likely the most whackest fun game ever. Alot of Movie references are involved. 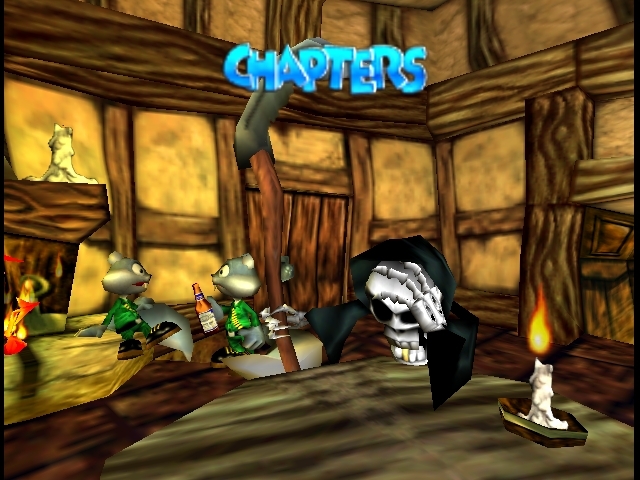 We join conker drunk trying to find hes way home wakes up in a world close to reality the intelligent (conker) must use hes drinking and thinking to cut through all the Cow poo and get back home. 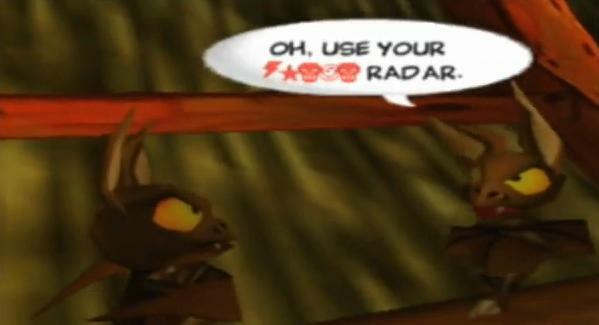 One of the most exciting games full of action, adventures and platforma of 2001. 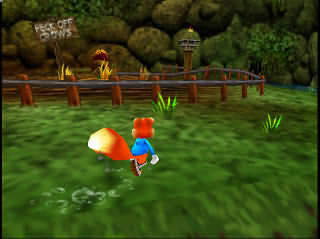 Our protagonist Conker The Squirrel fills us with emotion in each mission. 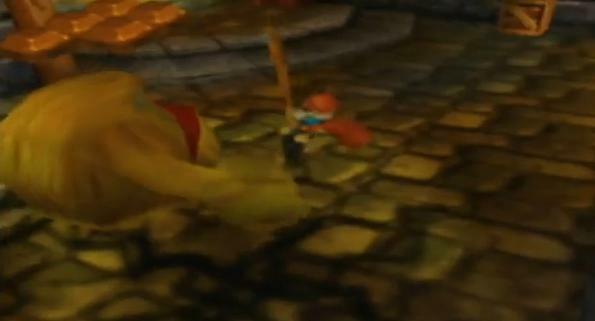 A game with which you spend hours in front of the screen, is a game in which you never get bored, test your skill and skill in the games, a game completely for young adults, the best that came for the N64. One of the funniset games of all time. If you dont laugh at this game you must have no sense of humor or a zombie. 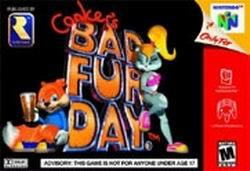 Read all 13 reviews for Conker's Bad Fur Day (USA) Submit your description for this title! Now you can add videos, screenshots, or other images (cover scans, disc scans, etc.) 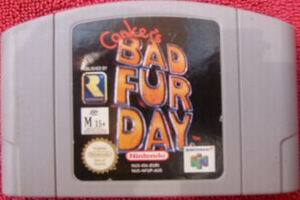 for Conker's Bad Fur Day (USA) to Emuparadise. Do it now!